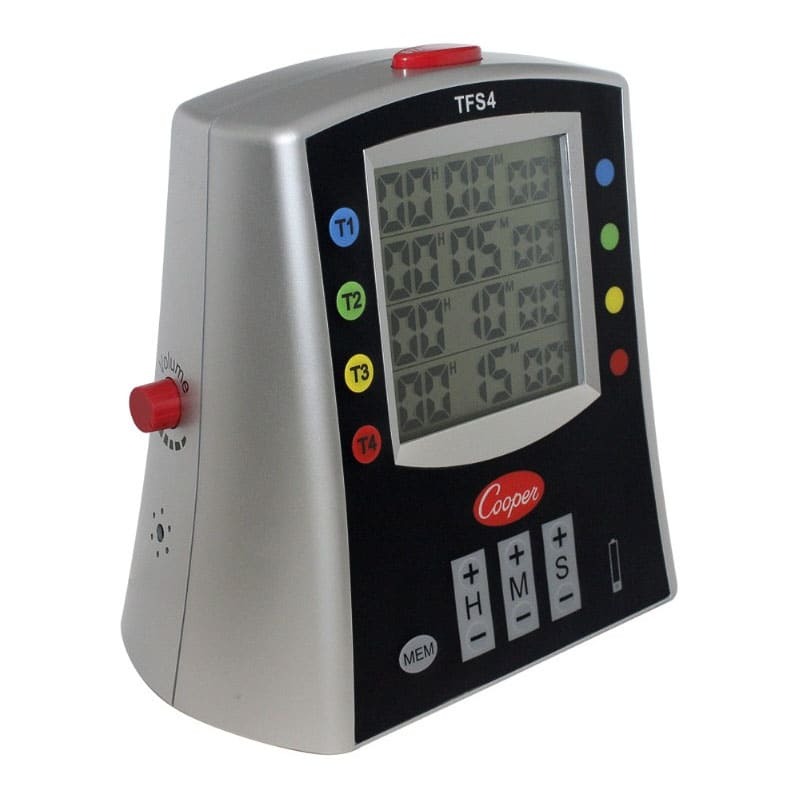 The TFS4 Multi-Station Digital Timer is a high-performing and durable choice that has 4 different timer mode stations that can be used independently or simultaneously. Its large 4-station LCD and flashing lights allow for easy viewing. The TFS4 has four distinctive alerts with an adjustable volume control that makes it easy to hear from across a large room - making it the ideal timer for noisy work environments. The TFS4 features color-coded LED with distinctive beepers for each timer and coordinating key pad buttons. 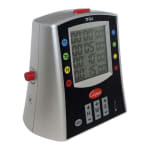 It features count-down/count-up and Memory Mode Feature. The TFS4 is made from durable ABS plastic housing. Non-skid rubber feet or wall mounting keep the timer secured, and its keypad is grease resistant and splash-proof. A one-touch START/STOP button is located at the top of the unit for quick and easy operation.